21.5x48" when folded; 48x64 unfolded. Excellent condition; Been in family since 1940s. Thank you for submitting your item for appraisal. This appears to be a last quarter 19th century walnut drop leaf dining table in apparently good condition and with beautiful patina. The estimate is based on similar table actually sold at auction. 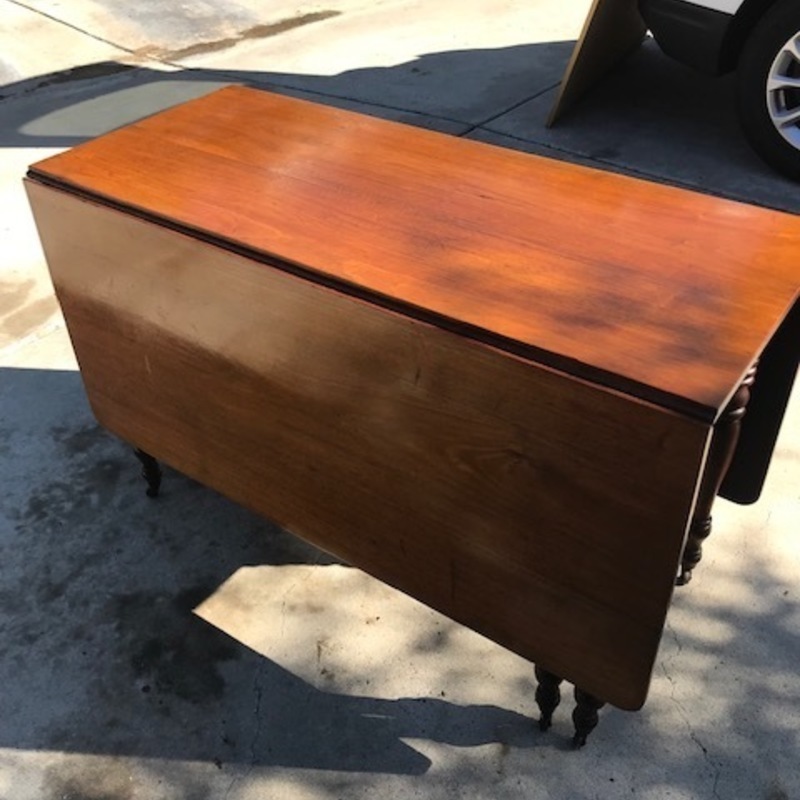 A serious buyer in your neighbourhood in need for a timeless antique table might be willing to pay more than the high estimate. There is no measurement for the sentimental value you might attach to the item.